Like the Newsboys, I’d have to say Audio Adrenaline has one of the most changes in terms of their band member lineup. Since their rebirth in 2012 with Kevin Max, ex-lead singer of DC Talk, as their new lead singer; fans of the 1990s group were thrilled to see such a wonderful singer take the reins of an equally wonderful band. And with Mark Stuart still writing behind the scenes, and original bassist Will McGinness on bass guitar, it was assumed that Audio Adrenaline would be travelling and making music together for a while. Yet when members decided to leave and pursue other endeavours, the future of the band became cloudy. Jason Walker left to pursue a solo career, as did Kevin- citing a difference in direction artistically with the band and management. Dave Gharzian joined the Peter Furler Band and Josh Engler stepped in to fill the lead singing shoes void left by Kevin. Yet only two years later after their 2013 album Kings and Queens, we see a whole new different lineup- Adam Agee (of Stellar Kart) on lead vocals, Dave Stovall (of Wavorly) on bass guitar, newcomer Jack Campbell on drums and Brandon Bagby on guitars. 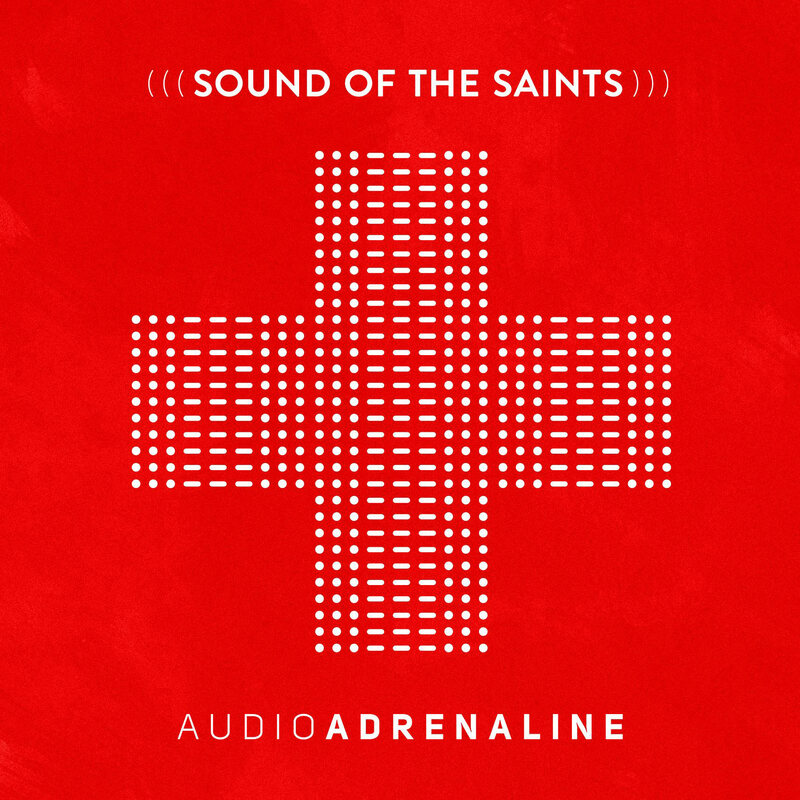 So what should we make of the new Audio Adrenaline? Are they just the new Stellar Kart in disguise (because honestly, don’t you reckon they could’ve called the band SK, release Sound of the Saints and everyone would’ve enjoyed the album nonetheless?)? One listen from the first single “Love Was Stronger” and its sure to say the band still have their rock’n’roll flavour, even if this album feels more like a follow-up to All In as it is to Kings and Queens. While I’ll always have a soft spot for SK (and still wish the band wasn’t on indefinite hiatus), Sound of the Saints still has the poignancy, power and passion to instil in listeners a sense of hope and encouragement. Why the massive overhaul, I don’t know (and probably will not know for a while). What matters is that these 10 songs are some of the best I’ve heard Adam sing in a while. 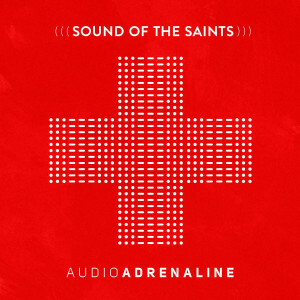 Whether you treat this as Audio A 4.0 or Stellar Kart 2.0, check out Sound of the Saints when it drops May 5th, and see for yourself. From rock anthem “Move” to radio friendly possible-second-single “Miracles” and the Josiah James first single cover, Adam and the band have a refreshed and renewed purpose to ‘…move, if you’re ready or not, give it all that you got, turn it up now…’ (“Move”). “Love Was Stronger” was first recorded by Josiah on his Identity EP way back in 2014, and while I still love Josiah’s vocals much more than Adam on this song, what this song has that sets it apart as one of the most underrated worship melodies I’ve heard in a while, is its emphasis on love and the fact that God’s love was stronger, and still is, more than anything we could ever do or say that could create a divide between us and God. With a rocking guitar atmosphere, and Adam’s powerful vocals projecting through, we see a rejuvenated band, and even if Mark or Will are not at the helm anymore, Adam’s passion is directly shown, not just through this melody, but throughout the rest of Sound of the Saints as well. It is in this song that we are invited into a story about salvation, and how God love was stronger than any reason, logic or defiance from us on our journey to accepting Him as our Lord and Saviour. While at times the chorus can be a little repetitious, the message doesn’t waver- that even though at times throughout our lives we may not feel it, and we could think and believe that our fear means our life has failed, in fact most times, when we don’t feel it, that is when Christ comes to us and speaks the clearest. Not that Christ doesn’t speak at other times, but it is when we’re at our lowest lows that everything else is drowned out and God’s voice is heard just a tiny bit louder. Released as a theme song for “MLB Now”, an hour discussion panel about breaking news in the world of baseball and about the game and its trends; Audio Adrenaline’s high energy powerful powerhouse anthem about moving and giving everything we have in this life is a great song to start off Sound of the Saints with. With electronic keyboards starting what I reckon is Audio A’s best rock anthem since their 2000s hit “Until My Heart Caves In” (which ironically was covered by Adam and Stellar Kart on their 2010 album Everything is Different Now); we hear a passion that gives us impetus to do just that- move. With heartfelt lyrics of how we all ought to believe that ‘…somewhere deep inside our voice is dying to be heard, you got a spark inside your heart, go on and let it burn…’ Adam and the group still show us that Audio A still knows how to rock, even after a whole bunch of lineup changes. “Sound of the Saints”, the title track, brings the tempo down a notch as the acoustic guitar and light instrumentation start to be at the forefront as this worshipful tune reminds us all to stay still and quiet as we realise that ‘…from the lips of those You’ve saved, a redemption song will rise, with a sound so full it cracks the skies…’; while it is the song “World Changers”, the last melody on the album, that I reckon could be the next “Hands and Feet”, a song that embodies what the band is about- changing the world and being the hands and feet to those who need it along the way. An anthem that will most certainly bring in new and older fans as we hear Adam sing with passion alongside string instruments that ‘…we can be world changers, if we love like You do and stand for the truth, we’ll see Your light break thorugh…’, the band continues to showcase a nice blend of faster and sombre melodies, from the emotive “Miracles” that asserts the band’s faith in the impossible as we are all encouraged to believe the same and that ‘…it doesn’t matter what the world says, I’ve seen what You can do, I know it’s more than just coincidence, it’s amazing how You move…’; to “So Can I”, a piano prominent song that brings the personal into the limelight, as Adam and the band draw on past experiences with fans to showcase a theme of loving and accepting people we meet, as we are impacted and affected by people we come in contact with on a regular basis. Emotion and the ability for the band to pierce the soul still come through in “Rejoice” (no, it’s not the 2001 cover from Lift), a musically simple yet poignant song about rejoicing during difficult times. Rejoicing during difficult times may seem trivial to someone traveling through hurtful and difficult times, yet this song based on the story of Job (and maybe even a thematic sequel to “Blessed Be Your Name”) is one such melody that’ll make us think about issues of praising during difficult times, or even believing whether the season we’re in is forever or not. “Out of the Fire” continues the rock edge that was started by “Move” (reminds me the most of the musicality of anything Stellar Kart used to do), as Adam states that only Christ can pull us out of the fire and into the river of healing and restoration, and “Spirit Burn” is a song that could fit in during Sunday worship services, as this musically subdued track focuses more on worship as the band declare to ‘…glorify Your name, let Your kingdom move over my heart, Father show Your face, let the light of heaven come to us…’ The band round out the 10 tracks with “Saved My Soul”, an undeniably catchy melody (in fact, it’s the most catchiest song on the album in my opinion), that is thematically similar to Paul Colman Trio’s song of a similar name, as Audio Adrenaline give credit to God for finding them in ‘…a desert place, and I felt Your love like a pouring rain, and You saved my soul…’ While only standing at 2:51, the band leave everything out on the track to deliver one of my favourite songs on the album! ‘…some of the last words of Jesus were, ‘…go and make disciples of all nations…’ That’s the mission we’re honored to keep—going into the world and taking care of people, taking care of those who can’t take care of themselves…’ Whether we see them as Audio Adrenaline or Stellar Kart now, what Adam and the bandmates have done on the album is something remarkable- blending rock, worship, pop, even a bit of punk, to deliver one of the most enjoyable and well-crafted albums of the year so far. Standing tall amongst other 2015 standouts from artists like Lauren Daigle, NF, Fireflight, Jonathan Thulin and Third Day; Audio A, at least this incarnation, is a formation that’ll hopefully be here to stay for many a year yet. With songs like “Love Was Stronger” polarised with emotive melodies like “So Can I” and “Miracles”; we see a band that has continued to mature and deliver different and unique sounds throughout their tenure as a band that continues to impact and change lives after so many years. We can be upset about the variety of band member changes, or we can embrace the album for what it is, a rock-worship album that is a standout in 2015 so far. Well done Adam and the rest of Audio A for creating 10 songs that we can rock out and quietly listen to. Sound of the Saints will be in my iTunes playlist on repeat for a while yet. Congrats on the new release- can’t wait for the new one in a few years! Personally, I had no problem with the change of band members. No, I had just one problem: the fact that Kevin Max was no longer part of AA. He’s the reason I loved them and started listening to the band. That said, when I first heard Love Was Stronger, I knew there was something to love about these new guys and I was not wrong. I love the message of the album and I’m glad I didn’t listen to all the discouraging comments about the new band and album. My favorite tracks are Love Was Stronger, Spirit Burn, Miracles and Saved My Soul. You’ve done a good job on this review. Well done Jon! Just out of curiosity, what have been your favourite CCM albums of 2015 so far? For me my top 5 are from Fireflight, Lauren Daigle, NF, Third Day and Jonathan Thulin, with Audio A and I Am They closely following behind. My favorite CCM albums this year are from: Lauren Daigle, Matt Maher, Hawk Nelson, Jonathan Thulin(unfortunately, I did not enjoy this album as I thought I would but it’s still okay for me), Among the Thirsty and then, Audio A. I hope to include Plumb’s new album on this list soon.